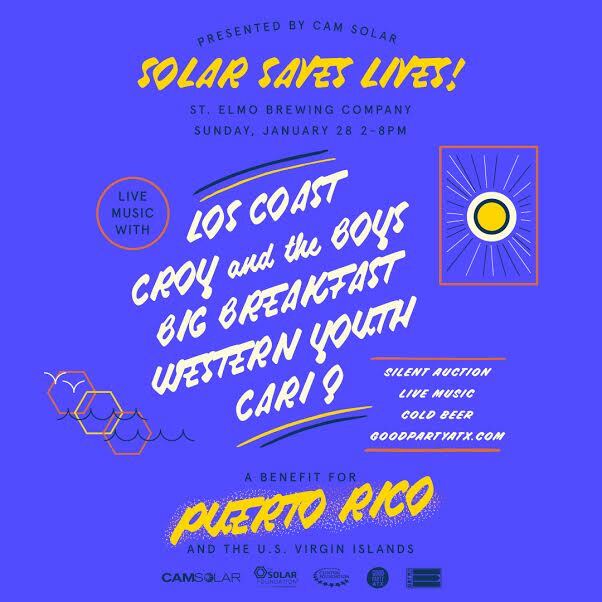 Join us Sunday, January 28 at St. Elmo Brewing Company for SOLAR SAVES LIVES: A benefit for Puerto Rico and the U.S. Virgin Islands. The fine folks at CAM Solar are teaming up with The Clinton Foundation and The Solar Foundation to raise money for the Solar Saves Lives initiative, working to bring urgently needed solar technologies to Puerto Rico and USVI. St. Elmo Brewing is donating $1 from every pint sold (drink up, people! ), and there will be an incredible silent auction. Guests are welcome to make additional donations onsite or online, too. Spread the word, invite friends, and we'll see you January 28! Interested in donating to the silent auction? Email us.